Dog owners are being warned by farmers and insurers to keep their canine companions under control when walking in the countryside, as the cost of insurance claims caused by livestock worrying has reached a record level. New figures from rural insurer NFU Mutual show the cost of dog attacks on livestock rose by nearly 50% across the UK in 2016. The insurer estimated that the total cost to the whole industry reached £1.4million last year. The cost of claims more than doubled in the months between January and April, when pregnant ewes and lambs are often out grazing on low-lying pasture in areas which are more accessible to walkers. Tim Price, Rural Affairs Specialist at NFU Mutual, warned at that time of year dog owners should keep an eye out for flocks of sheep appearing on their route where there is usually no livestock. He said: “It’s not just big, aggressive-looking dogs that attack livestock – well-behaved family pets can worry sheep or cattle. And once aDog owners are being warned by farmers and insurers to keep their canine companions under control when walking in the countryside, as the cost of insurance claims caused by livestock worrying has reached a record level. Livestock such as sheep and cattle are valuable assets, and attacking them can seriously damage a farmer’s livelihood – even if the dog doesn’t catch them. 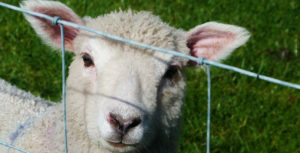 Chasing sheep can cause sheep to die, pregnant ewes to miscarry lambs, and damage fences and boundaries as animals try to flee. Farmers are legally entitled to shoot dogs if they are chasing or attacking sheep or cattle. What’s more, under the Dogs Act 1953 the person in charge of the dog is guilty of an offence, so you could lose your pet and get in trouble with the law to boot. •Keep your dog on a lead around livestock, even if you can usually trust it to return at your call. All dogs have the instinct to chase, even if they are usually obedient. •Treat every field as if it contains livestock. Farmers move their animals around, so remember that just because a field is usually empty, it could contain a flock of sheep today. •Cast an eye over the Countryside and Right of Way Act (CROW Act) which sets out public rights and restrictions on open access land. The act states that the public can only go on open access land if they keep dogs on a fixed lead of 2 metres or less near livestock. The owner of open access land can close areas containing sheep to dogs (except guide and hearing dogs) for up to 6 weeks once a year, as a safeguard during lambing. •If you live in or near a farming area, ensure your dog cannot escape onto land containing sheep. Keep your dog on a lead around livestock, even if you can usually trust it to return at your call. All dogs have the instinct to chase, even if they are usually obedient. Treat every field as if it contains livestock. Farmers move their animals around, so remember that just because a field is usually empty, it could contain a flock of sheep today. Cast an eye over the Countryside and Right of Way Act (CROW Act) which sets out public rights and restrictions on open access land. The act states that the public can only go on open access land if they keep dogs on a fixed lead of 2 metres or less near livestock. The owner of open access land can close areas containing sheep to dogs (except guide and hearing dogs) for up to 6 weeks once a year, as a safeguard during lambing. If you live in or near a farming area, ensure your dog cannot escape onto land containing sheep.